Destination Reporter is India’s first B2B travel magazine with a B2C approach in editorial strategy. The publication presents well curated features, in-depth industry analyses, comprehensive news coverage, interviews with industry leaders, opinions by trade experts and impartial product reviews. Destination Reporter, available in print and digital formats is a ‘must read’ for the time-starved travel trade professional who has to be well informed to market ‘Incredible India’. We are the largest circulated travel trade magazine in the region with a print run of 35,000 copies across the India sub-continent, GCC and SEA markets. 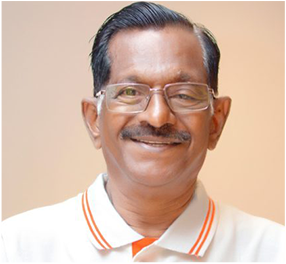 In a career spanning five decades Mathukutty has been print journalist, travel writer, author, biographer and entrepreneur. 30 published titles: 4 in English, 26 in Malayalam and hundreds of published articles in both Malayalam and English on topics ranging from international politics to music, travel & tourism, sports and games across Deepika daily, Mathrubhoomi Group, Kerala Kaumudi daily and Keralashabdam Group of publications. He has served as Editorial Board Member of Deepika daily, Kerala’s oldest newspaper and was one of the pioneers of sports journalism in Malayalam. Mathukutty is acclaimed for penning approved biographies of Malayalam matinee idol Satyan and singing legend Yesudas which were also serialized in leading film journals. Credited for contributing immensely to improving the standard of content on Malayalam broadcast channels by starting weekly critical reviews of programs in 1985, Mathukutty was honored twice with the Kerala State Award for Best Writing on TV and also served on the Jury for Kerala State Television Awards. He has also played a significant role in establishing and/or promoting prominent organizations in Kerala including Cochin Kalabhavan, Kerala Eye Bank Association, Central Institute of Mental Retardation and Indian School of Martial Arts (ISMA). Starting his career as a Marketing Executive in pharmaceutical major Pfizer before turning to journalism, Mathukutty also worked in Tripoli, Libya from 1975 to 1982, travelling extensively in Saharan Africa and European countries. He served as Senior Editor of Target daily in Hong Kong and was the founder & executive editor of Travel Market India (TMI) published by ATE Group in Thiruvananthapuram. In 1997, Mathukutty founded Destination Kerala business magazine and served as its Editor & Publisher. In 2015, he handed over the business to his twin sons Jose and George, and became Chairman of Destination Business Media Pvt. Ltd. He has travelled extensively across the world attending trade expos, promoting tourism and business including visits to Israel and Thailand as their State guest to help foster collaborative initiatives. Mathukutty passed away on 26 December 2017 after signing off the masthead and editorial grid of Destination Reporter. A seasoned hospitality industry professional, George has been into franchise operations, brand development and F&B management for over 20 years. He has launched and built brands like Subway, Charley’s Philly Steaks, Whittard of Chelsea, Bateaux Dubai, Second Cup Coffee, Joe’s Café, Johnny Rockets and a host of UAE bred concepts in the Middle East, Africa and CIS regions. Starting his career with the Taj Group of Hotels in India, George has worked at the senior management level with large conglomerates headquartered in Dubai with a MENA footprint. His previous roles were as the General Manager at Al Madani Group, General Manager & Board Member at BinHendi Enterprises, both in Dubai, and as Senior Franchise Strategy & Business Development Specialist at ADNOC Distribution, Abu Dhabi. Currently, George is the Managing Director of Nando’s Restaurants, based in Dubai. Most recently, George was Executive Director – Private Equity at Regulus Capital Limited, the Cayman Islands registered Investment Manager of over USD 1.2 Billion worth of assets in F&B, healthcare, education, logistics and real estate in the MENASEA region. He was also the General Manager & Board Member of Al Faris Restaurants LLC (Exclusive Developer of Johnny Rockets Restaurants in the UAE, Oman, North & Sub Saharan Africa and Eastern Europe) and sat on the Boards of Diamond Lifestyle Limited, Gulf Pinnacle Logistics Limited, Al Najah Education Limited and Al Maha Infrastructure Limited. George is on the advisory board of the Middle East Food Forum and regularly speaks at industry events. A graduate in Hotel Management, George also holds a Masters degree in Tourism Management. Jose brings over 18 years in corporate marketing and advertising. Before deciding to become an entrepreneur in 2015, he was with India listed Prime Focus, the world’s largest media services provider, as Senior VP and Chief Marketing Officer. Prior to that he was with French IT major Capgemini where he led Global Marketing’s offshore organization and co-led Account Based Marketing. 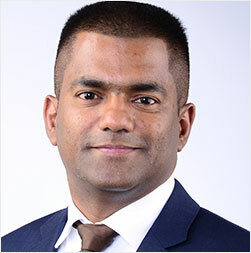 His earlier stints include CMM Advertising, Al Safeer Group (UAE), iSOFT (now part of Computer Sciences Corporation), Satyam Computer Services (now Tech Mahindra) and Hexaware Technologies. Jose is also the editor of Destination Kerala Business Magazine and Technopolis, a Campus Magazine for IT Professionals in Kerala. He is also the co-founder of JOSH Consulting which offers strategic marketing and communications services to customers across various business verticals. Jose holds a graduate degree in Hotel Management from University of Bangalore and a master’s degree in Journalism and Mass Communications from MK University. He has also done an executive program in Strategic Marketing Management from Stanford University’s Graduate School of Business. Jose has travelled extensively across the US, UK, Germany, The Netherlands, GCC and India. 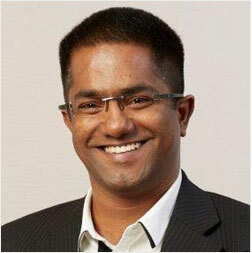 Before joining Destination Business Media in 2015, Athul was with The New Indian Express (TNIE) daily for nearly eight years. Having started his career as a journalist in TNIE Thiruvananthapuram Bureau, he took up the challenge of leading TNIE’s Kozhikode unit at a young age and at a time when the nation’s two leading English newspapers had just launched their editions across Kerala. Besides building a vibrant reporting team, TNIE Kozhikode launched its city supplement `City Express’ (Wednesdays and Fridays) and also brought out a special edition during his tenure on the occasion of the unit’s 20th anniversary. A journalist with social commitment and responsibility, Athul has been covering politics, crime, agriculture and social issues. A graduate in Geology, Athul completed his MA programme – Master of Communication and Journalism (MCJ) from Kerala University with first rank. 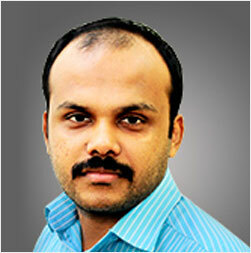 He is also an avid photography enthusiast and has practiced convergence journalism in TNIE. He has received Special Mention for Best Investigative Reporting at the awards instituted by the Alumni Association of the Department of Communication and Journalism, University of Kerala. Athul also serves as Executive Editor of Destination Kerala Business Magazine and Technopolis, a Campus Magazine for IT Professionals in Kerala.